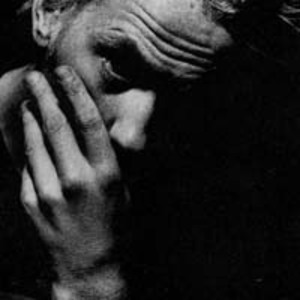 David Holmes is a Northern Irish DJ, musician and composer. Holmes was born on 14 February 1969, the youngest of ten children. Holmes began DJing in the pubs of his native belfast from the age of 15. His first hit was the song "DeNiro", with Ashley Beedle, in 1992. In the early to mid 1990's he ran two highly acclaimed and successful club nights in the Belfast Art College known as Sugar Sweet and Shake Yer Brain. Famously, the dance group Orbital wrote the track "Belfast", released on their debut album Orbital, after playing at Sugar Sweet. Holmes began DJing in the pubs of his native belfast from the age of 15. His first hit was the song "DeNiro", with Ashley Beedle, in 1992. In the early to mid 1990's he ran two highly acclaimed and successful club nights in the Belfast Art College known as Sugar Sweet and Shake Yer Brain. Famously, the dance group Orbital wrote the track "Belfast", released on their debut album Orbital, after playing at Sugar Sweet. Holmes released This Film's Crap Let's Slash The Seats, in 1995, and it received acclaim for being very scenic and chaotic dance music. One of the songs on the album was used in the soundtrack to the film Pi (Pi). At the time he described the album as being inspired by movies and movie soundtracks, a recurring theme throughout the album and of Holmes' work as a whole. The opening track, "No Man's Land," was reportedly inspired by the Daniel Day-Lewis film In the Name of the Father. In the same year, he also provided the ambient links between the songs on the album Infernal Love by the Northern Irish rock band Therapy?. In 1997, Holmes released Let's Get Killed, described by some as the soundtrack to an imaginary film. Many of the tracks feature people talking in the streets of New York, recorded by Holmes using a dictaphone. In 1998, Danny Devito commissioned him to do the score for Steven Soderbergh's film Out of Sight (Out Of Sight). He scored a second film for Soderbergh in 2001, including some songs from Let's Get Killed and Bow Down to the Exit Sign on the Ocean's Eleven remake (Ocean's Eleven). After releasing a mix album, Come Get It I Got It, in 2002, Holmes released David Holmes Presents The Free Association in 2003. This was a departure for the artist as all his previous work had been solo. The Free Association featured 4 other bandmates who toured with Holmes after the album was launched. As a remixer he has reworked tracks by U2, The Manic Street Preachers, Primal Scream, Page and Plant, and Ice Cube. Before his musical career Holmes worked as a hairdresser and chef. He also briefly owned and ran a caf? called Mogwai near the Queen's University of Belfast. Dave Holmes is also the alias of trance and hard trance producer, Mustafa Alici. Releases under this name have included Devotion, Freedom and Samsara.